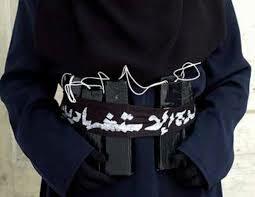 A teenage girl suicide bomber tore off the explosives strapped on her and fled as soon as her cohorts were out of sight. Her two other accomplices however, completed their dastardly act blowing up themselves at Dikwa refugee camp in north-east Nigeria, killing 58 people yesterday. The teen that escaped was found and and talked to local self-defence forces. "She said she was scared because she knew she would kill people, but she was also frightened of going against the instructions of the men who brought her to the camp," said Modu Awami, a self-defence fighter who helped question the girl.